Orbus Exhibit & Display Group® prides itself as being the trade’s “one-stop-shop” for everything displays, providing unmatched portable sign and display solution options at record speed, affordable prices and with award-winning customer service. Quality is not an option at Orbus – it’s a way of being. The company has several certifications recognizing its commitment to quality and environmental protection. View Orbus' integrated Quality and Environmental Policy here (PDF). ISO 9001:2015 recognizes organizations that consistently provide quality products and work continually to improve the system to benefit consumers. Management and employees of Orbus are committed to providing distributors with the highest quality of products and services in the industry. To achieve this goal, all employees must strive to constantly improve the quality of Orbus products and services. Orbus is committed to helping them succeed through training, evaluation, and recognition. ISO 14001:2015 recognizes an organizations high level commitment to environmental protection. Recognizing that the world’s natural resources are limited and fragile, Orbus considers environmental protection to be consistent with its overall goals and values. At Orbus, we strive to minimize our impact on the environment in the design, manufacture and storage of trade show displays and accessories. Every Orbus employee is committed to implementing this policy in his or her daily activities. 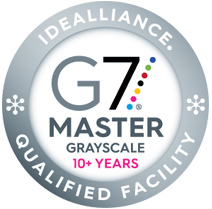 As a G7 Master IDEAlliance certified printer, Orbus’ graphics department produce high-quality, consistent and accurate color graphics on state-of-the-art equipment. Several G7 Certified Master Printers are on the graphics team, further benefitting the quality of graphics that are produced.